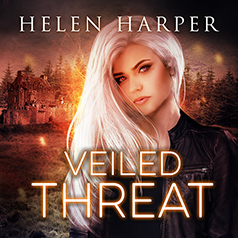 Bestselling author Helen Harper presents Book 3 of her Highland Magic series. Integrity Taylor has regained possession of her ancestral lands—and inherited a whole host of new problems. The specter of what really happened to her parents is casting a shadow over everything while Fomori demons are being sighted up and down the Highlands. It doesn't help that Aifric Moncrieffe still seems determined to see her dead and emerald-eyed Byron remains stubbornly blind to his father's true nature. Integrity is determined to stay in control of her own destiny, however, even if it means confronting the darkness across the Veil yet again. And at least she's still got a sense of humor . . .